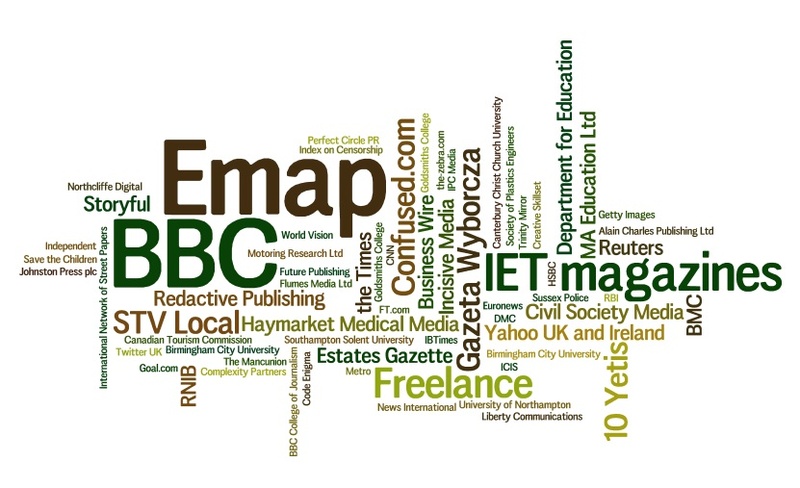 Nearly all the tickets for news:rewired – full stream ahead are now sold, so with just two weeks to go we’ve had a look at the latest list of delegates and created the Wordle below, to show the representation of companies expected on the day. You can also see a list of the speakers due to present on the day here (we may still have a couple to add in the coming week), as well as a list of delegates here. Buy tickets for the event – which takes place on Friday 13 July at MSN UK, Victoria, London – at this link before they sell out. And here’s the agenda to get an idea of the choice of sessions on the day.